The cosmopolitan city of Melbourne is a great place for an international student to call home while studying English. Offering an exciting blend of cultures with a wide variety of sights and activities to enjoy, students will never be bored away from their studies. It isn’t called the 'capital of cool' for nothing! 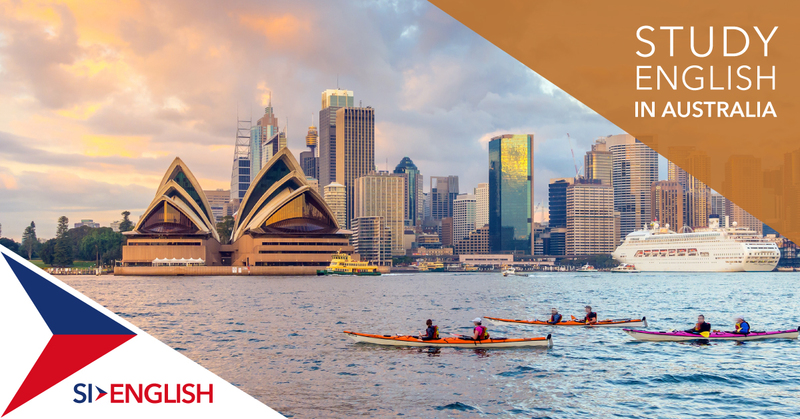 If you are you interested in studying in Australia or Melbourne, SI-English can guarantee you an offer letter from an Australian language school within 24 hours with our Free Application Service! Get in touch with our international education experts today to get your application started. Estimates put Melbourne’s student numbers at almost 270,000, over 90,000 of whom are international, making the city one of the top student destinations in Australia. There are a staggering eight universities in the city, as well as a huge number of English language schools and colleges. In 2008, Melbourne joined the UNESCO Creative Cities Network when it was designated the first and only City of Literature in Australia, recognising the breadth, depth and vibrancy of the city’s literary culture! In 2014, Conde Nast Traveller magazine readers voted Melbourne the world’s friendliest city. Not only judged on the people who live there, but also things to enjoy and see, readers singled out its happening night life, cutting edge arts scene and the quality of food. Interested in playing or watching sport? In 2016, Melbourne beat off competition from traditional sporting super powers such as London, New York and national rival Sydney to be crowned the world’s sporting capital. From cricket to tennis to football and rugby, Melbourne has world famous sports teams and the facilities to match. Judged in the areas of healthcare, education, stability, culture, environment and infrastructure against 140 other countries, Melbourne was voted the world’s most liveable city by the Economist! Worried about getting around? A transport system which incorporates trains, trams, buses and taxis makes getting in, out and around the city easy, even as a beginner. If you are interested in studying English in Australia, apply with SI-English today. We can help you apply and guarantee you an offer letter from a school within 24 hours using our 100% Free Service available to all international students anywhere in the world!